Japan's policy of basing its nuclear power program on reprocessed plutonium has aroused widespread suspicion, especially in neighboring East Asian countries, that Japan is secretly planning to develop nuclear weapons. Japan's policy of basing its nuclear power program on reprocessed plutonium has aroused widespread suspicion, especially in neighboring East Asian countries, that Japan is secretly planning to develop nuclear weapons. 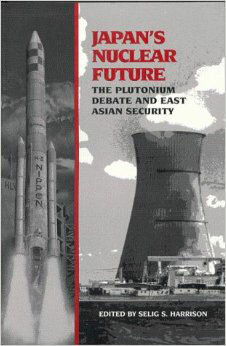 This book presents the views of a leading Japanese proponent of the reprocessing policy, Atsuyuki Suzuki, Professor of Nuclear Engineering at Tokyo University; a leading critic, Jinzaburo Takagi, Director of the Citizens Nuclear Information Center; and Taewoo Kim, a South Korean specialist who warns that the Japanese nuclear program could lead Seoul to pursue a reprocessing capability of its own. An introductory essay by Selig S. Harrison analyzes the history of the domestic debate in Japan over the acquisition of nuclear weapons and assesses the possibility of a Japanese nuclear weapons program. This unique and important book provides the international community with unprecedented access to a range of sophisticated Asian views on the possibility that Japan may convert its nuclear-energy programme to a nuclear-weapons programme... Harrison pulls no punches [and] no one has been as ambitiously comprehensive in offering policy options to enhance nuclear safety in the region.